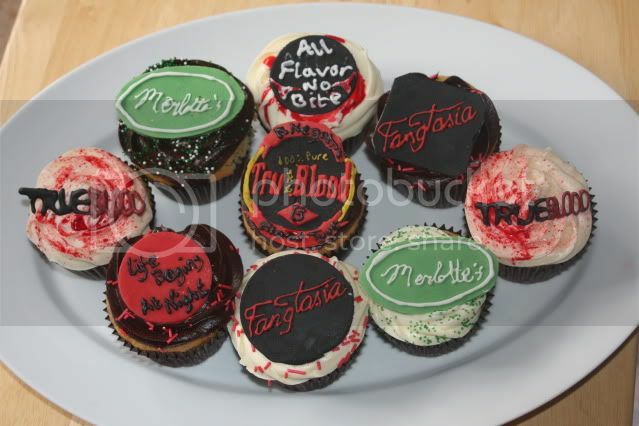 I really wish I could make this con but unfortunately we're going away this weekend I am a massive fan of True Blood and the books and in honour of this I made some TB cupcakes...thought I'd share them. You must make some and bring them to Bitten 2! I dont think I can make that weekend either It's my sister and mum's birthday weekend and we almost always go away cos it's summer holiday time! 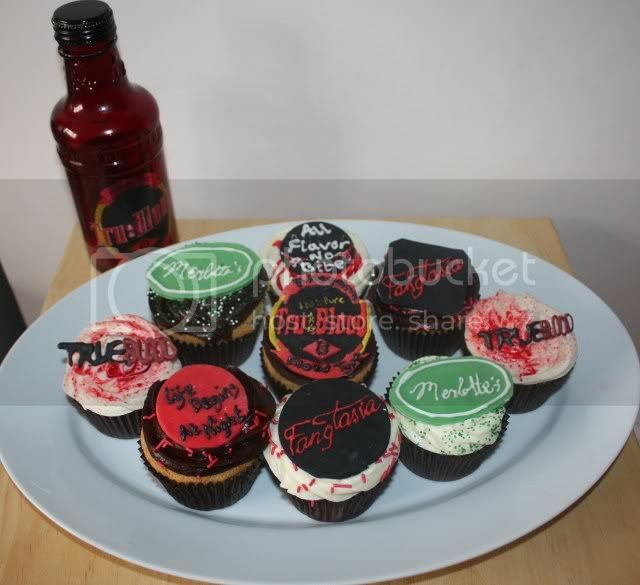 I want True Blood cupcakes!!!!!!! @peeka85 - They're great - Well done. Just to be nosey... the True Blood ones (the ones that *say* True Blood) look like the writing is standing up - how did you do that? did you colour white chocolate or something and then pipe it and let it dry before sticking on the cake?? Thaose cakes look great. They are making me very hungry! WHAT DO YOU MEAN YOU AREN'T GOING TO THE SHOW?! You show us these cakes and then tell us we can't have them?! Those cup cakes look fab! I wish I could go this weekend Hope everyone's having fun.